Keith has an array of loyal clients in Sydney and Hong Kong, taking care of all of their Australian legal needs. He particularly enjoys assisting Cantonese and Mandarin speaking clients, giving them confidence in navigating the complexities of the Australian legal system. 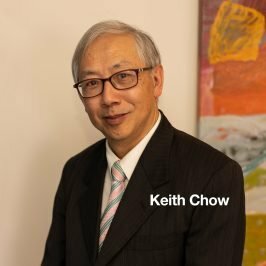 Keith is fluent in Mandarin and Cantonese and has a strong following amongst Sydney’s Chinese community. 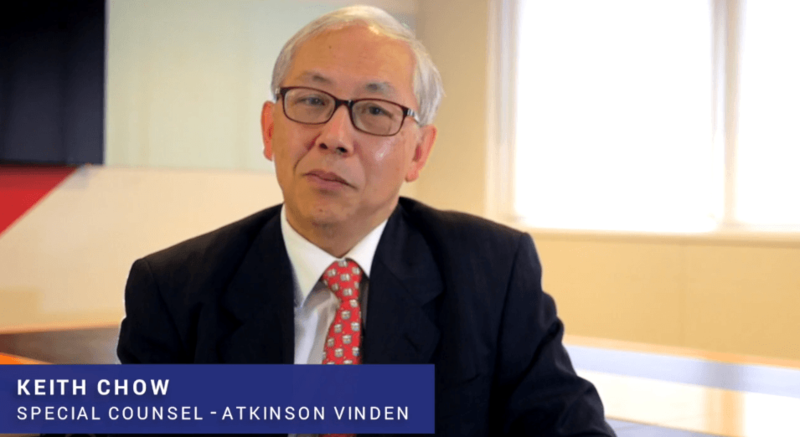 After many years running his own law firm Keith Chow and Co, Keith joined Atkinson Vinden Lawyers in May 2018, and is excited by the opportunities this will bring for his clients, who will be able to have the benefit of much deeper resources and a wider range of specialities at our firm. In relation to families and individuals, Keith enjoys assisting clients with wills, powers of attorney and enduring guardianship, buying and selling properties, and is able to ensure that clients find the right support at AV Lawyers to help with their family law and employment law needs. In many instances, he acts for several generations of the same family, due to the trust that he has built up over many years of faithful service. In relation to business, Keith accepts instructions on commercial leasing and the purchase and sale of business, and he is able to connect clients with the range of services Atkinson Vinden provides in relation to all aspect of commercial law, commercial disputes and workplace law. Keith is always concerned and mindful of the needs & instructions of his clients, with a commitment to fairly and reasonably protecting and advancing their interests. He is proactive and always has contingency plans in place to meet any unanticipated events so as to ensure his clients’ interests are well covered. Keith practises law with a wonderful sense of humour, and is much loved by those with whom he works. Keith is an honourable legal adviser of a number of churches and Christian associations, and has held the position of director of Chinese Christian Mission for decades. Keith is efficient, thorough, understanding and willing to spend time in consultation, aiming at bringing the best result.